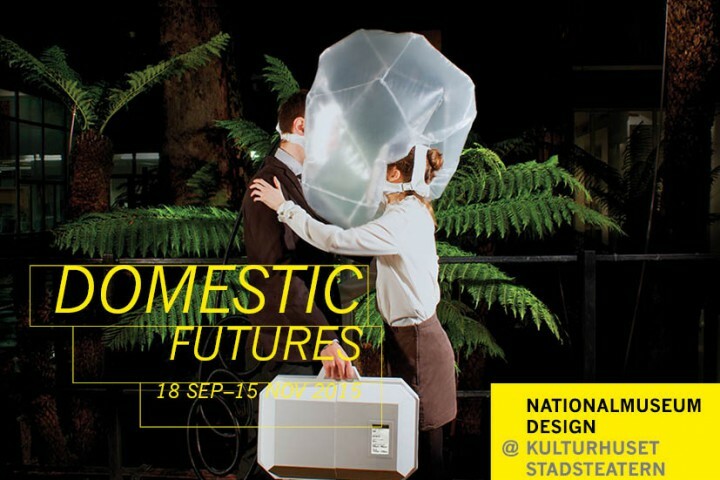 Domestic Futures speculates how design and products have the power to influence our everyday life. One example is the Smartphone that in less than a decade has become a dominant feature in our daily life. In the exhibition designers from all over the world will speculate about how our living rooms may look in the next 10, 20 or 50 years from now, and how future products will affect our daily routines in the future households. Will we “cook” in-vitro meals and keep replacement organs at home in the fridge, do we want to generate our own electricity and collect our food in the backyard, or do we maybe even own an apartment on another planet? The exhibition will comprise three living environments with artifacts and projects that allow visitors to explore what the future may look like. It demonstrates how biology, science and technology can be integrated in the kitchen. What we might keep in the freezer or the pantry, how we will recycle our waste or monitor our health. It can also be about reverting to a self-sufficient lifestyle, independent of grocery stores. From being able to make a fire and catch food with our bare hands to generating our own electricity. The exhibition also asks questions like what it will take to be able to leave Earth and live on another planet, how food cultivated on Mars will taste and what the latest fashion trends will be like in outer space. The exhibition challenges the visitors to step into their possible future households and moreover to think about what kind of future we want, and what kind we don’t want.